The spill that dumped hundreds of thousands of gallons of molasses into Honolulu Harbor last week is suffocating the harbor's underwater inhabitants. The thick brown goop displaces oxygen-rich water that fish, crustaceans and corals need to breathe. Direct contact with the viscous syrup can clog a fish's gills. And the sugary liquid causes bacterial blooms, which use up the remaining oxygen. The Hawaii Department of Health is monitoring the spill. Officials can remove the dead fish, but there's no way to extract the molasses, because it's dissolved in the seawater. Over time, bacteria will break it down, and the tides will bring in clean water, though "it will be a while before we know how quickly the molasses will move out," Korsmeyer told LiveScience. The spill occurred when a pipeline carrying molasses from an onshore tank to a ship burst, turning the harbor into a sugary mess. Though it's still early to know the extent of the spill's impact, underwater video footage revealed massive die-offs of fish. The sweet sludge is heavier than water and has sunk to the bottom of the harbor, smothering corals and the many creatures that make their home there. The dissolved sugar in the molasses creates what's called an osmotic effect, whereby the water inside living cells diffuses outward to equalize the concentration of dissolved substances. 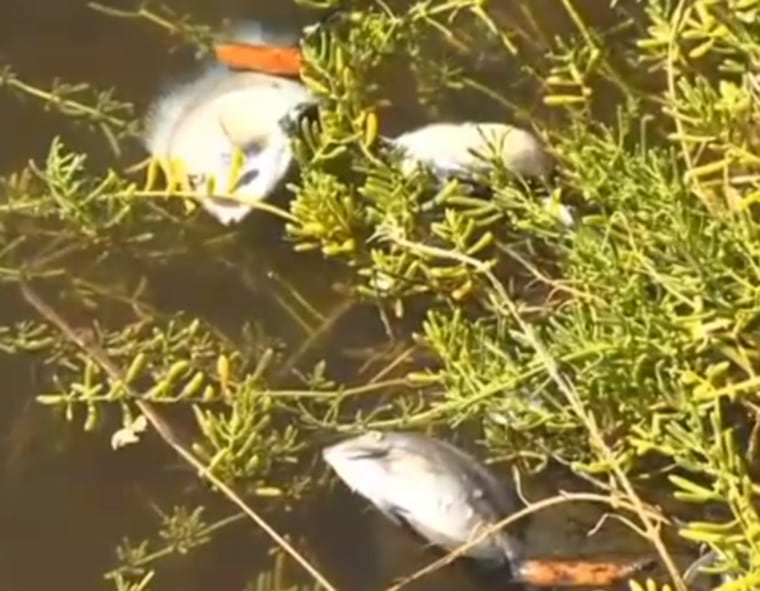 Korsmeyer suspects this phenomenon caused the initial fish die-offs by dehydrating the fish. Another major problem is the sugar in the molasses, which serves as food for marine bacteria. The surge in bacteria depletes oxygen from the water. There has been some discussion of bubbling oxygen into the water, like an aquarium fish tank, said oceanographer Grieg Steward of the University of Hawaii at Manoa. Currently, however, there are no plans to do so. Steward and his lab group have been sampling the water to measure oxygen and bacteria levels. When the bacterial growth starts to slow down, the oxygen will start to be replenished. "As of our last sampling on Wednesday, oxygen levels are recovering nicely," Steward said. Meanwhile, the Department of Health has posted a warning for people to stay out of the water, though no specific threat has been identified. The CEO of Matson Inc., the shipping company responsible for the spill, has vowed to cover the costs resulting from the disaster, NPR reported. It's not yet clear what the long-term impacts of the spill will be. Creatures that are mobile, such as fish and some algae, will probably bounce back more quickly than coral, which could take years, Korsmeyer said. "It illustrates how fragile marine ecosystems can be, and how they can be impacted by our activities," he said.